The Magic of Christmas in the City – Street Tango Flash Mob, Performances & Milonga! 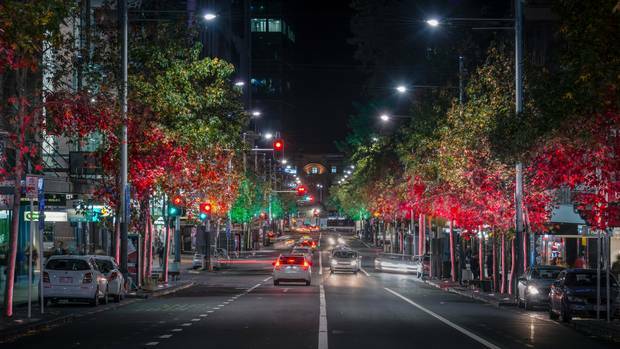 How Queen St will look with its trees lit up. Photo / supplied by Heart of the City. We are very excited to announce that the Auckland Tango Community and Gisela & Ariel have been invited to be part of this year’s ‘The Magic of Christmas in the City’. The event will begin at 6pm and is designed to capture the imagination of workers, residents and students at the end of the day, inviting them to celebrate the magic of Christmas in the city. The finale will be at 9pm with the illumination of the Queen Street Lights on the trees lining the street. The event will extend along Queen Street and with over 30 acts performing up, down and around Queen Street at the selected performance spaces or roaming areas. The performances will be both sophisticated and family orientated. The electic mix of artists will including bands, choir, opera, classical music, circus, tango, cabaret and others, all combining to create a unique night of excitement, merriment and fun. There will be rain cover for all the locations (including Tango), so the event will go ahead regardless!! We will start with a Street Tango Flash Mob, follow by Performance by Ariel & Gisela and a Milonga! You can dress up or down – it’s entirely up to you! We will be dancing on concrete pavement! Low Cost Carpark in City!! The best carpark is ‘Chancery Car Park‘ which is a short 5 minutes walk away from the dance spot. After 5:00 pm the cost is $3.00 if you book online with a code.